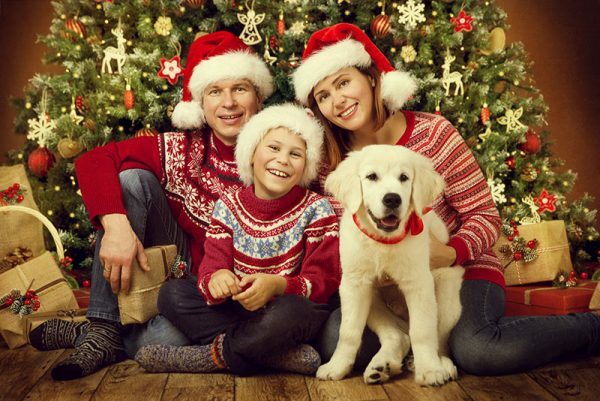 More than half of American households have one or more pets, and that number is sure to grow as the holidays approach. Fortunately, many of these pets will go on to become beloved members of the household. Of course, there are many factors to consider if you are looking to share your home with a new cat or dog, including existing or potential allergies among your children. Millions of American kids are allergic to animals such as cats, dogs, hamsters and other pets. Many more may be allergic to the pollen, mold, spores and other outdoor allergens that can collect in their fur or hair. A pet’s saliva, skin flakes and urine can also aggravate asthma and allergy symptoms in some kids. For children who are sensitive to them, these allergens trigger the immune system to overreact and produce allergy symptoms like sneezing, sniffling, itchiness and watery eyes. If Santa does leave an adorable little ball of fur underneath the tree this year – or if you already have a few fur babies in your home – the following precautions will help you and your child ease any allergic reactions. Bathe your pet often. Someone without allergies should give your pet a bath at least once a week to wash off as many allergens as possible. Create pet-free areas. Establish pet-free zones in your house. If your child is allergic, do not let the pets enter her bedroom. Replace allergy-attracting furnishings. Consider replacing upholstery, removing curtains and replacing/updating other surfaces that can collect allergens. If possible, replace carpeting with tile, vinyl, linoleum or wood flooring. Assign pet chores to someone else. Your pet’s cage, litter box or kennel should be cleaned by someone who doesn’t have pet allergies. Use HEPA filters. High-efficiency particulate air (HEPA) vacuum cleaners, vent filters and air purifiers can help lessen airborne pet allergens. Bathe often. If your child with allergies and/or asthma is exposed to animals, bathe him regularly and make sure he washes his face and hands after handling the pets. Use allergy medications. Before exposure to pets, give your child an allergy medication recommended by a physician.